Rivenmaster’s Place is affiliated with or works in conjunction with the following blogs, persons, or businesses. Because of the nature of the Internet, it may often seem that fame is reserved predominately for performers coming from an English speaking country. Yet, the world is filled with talented young performers, and following international youth singing competitions is one of the ways to discover them. 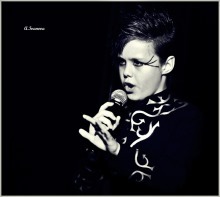 In 2011, a young singer from Bulgaria represented his country at the Junior Eurovision Song Contest in Yerevan, Armenia. Although his song, Superhero, did not make it to the final round, his energetic performance made an excellent impression on the millions of viewers across the European countries who watched the contest and later on the Internet. His name is Ivan Ivanov. But who is he? 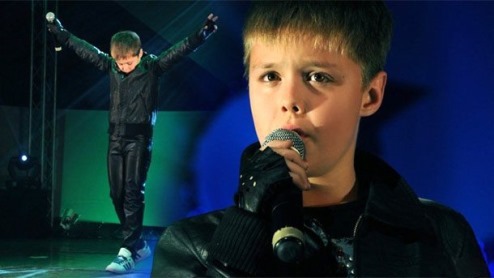 Though twelve-years-old now, Ivan was only eleven when he competed in the Eurovision contest. He started singing six years ago with the vocal group “Patilanci” at the School of Arts at the Community Center “Progress 1869” in his birth city of Gorna in Oryahovitsa. A year later, he started a solo career and in the years to follow competed in numerous singing competitions across Bulgaria, Romania, Belarus and Germany. 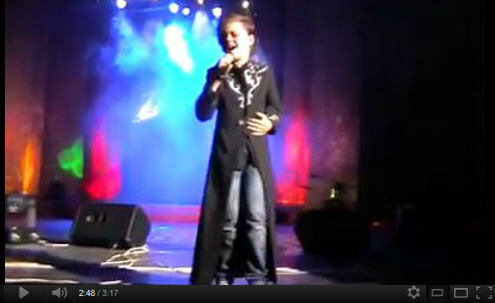 During The International Festival of Arts Slavianski Bazaar that took place in Vitebsk in Belarus, Ivan covered the song Zurbagan by Russian popular singer Vladimir Presnyakov from the Soviet teen movie Vyshe Radugi (Above the Rainbow), performing the entire song in flawless Russian. “Yeah Ivan!!! You rock buddy! The video quickly became popular among Adam Lambert fans, many of whom stated that they could have never imagined that someone as young as eleven could deliver such a poignant performance. Unfortunately, the Bulgarian inter-web lacks a centralized resource devoted to the young talents of Bulgaria and, as a result, obtaining information on them is not an easy task. The country hosts numerous talent competitions, but the lack of promotion and interest from the main stream media limits the exposure that the young participants in such competitions receive to the people in the local municipalities. That is why we would like to encourage you to share Ivan’s music as a help to him on his way to stardom. Guest article by George ( aka SkyKid ). An author at www.theskykid.com. A site that features articles, previews and reviews of coming of age movies, books, short films and music with a focus on adolescent development. The skykid.com is one of the most influential and captivating blogs on the net, and includes introductions and reviews of coming of age books, short films, music, and movies that focus on adolescent development and young people in the performing arts. Rivenmaster’s Place is pleased to present this exclusive interview with that blog’s founder. It was many months ago while searching for some background on a young performer that I was reunited with a website that I hadn’t visited for awhile. While I had read many articles, like most visitors, I had yet to leave any comments. However due to my deliberate search, I left a comment thanking him for publishing exactly what I needed to find out about that youngster. Since the time of leaving that first comment, we have become very close friends. Not only sharing the same interest in maintaining a blog site but in treble music, movies, and a host of other interests. I’m speaking about http://www.theskykid.com. The skykid.com is one of the most influential and captivating blogs on the net, featuring articles with embedded audio, video clips, and film previews. The site also includes introductions and reviews of coming of age books, short films, music, and movies that focus on adolescent development and young people in the performing arts. The newest feature of the site boasts a live radio program each Sunday afternoon and is on the air 24/7 broadcasting previous live shows and music by young aspiring musicians along with well known artists who have already made their mark in the industry.